What do you do when you’ve run out of useable space in your warehouse? You invest in a mezzanine and essentially double your space. What do you do when you’ve run out of useable space in your warehouse? You look up, of course. Literally. The solution is to take advantage of all of that unused vertical space. A mezzanine allows you to do just that, maximizing the existing space of your warehouse and essentially doubling your space. Mezzanines come in a variety of different shapes and sizes, and most are custom-built to fit the unique needs of the client. Let’s face it. Warehouses are not a one-size-fits all solution, so why would mezzanines be? Custom built mezzanines help save money over costly remodels. These steel systems require very few changes to the building construction to install, which also means minimal downtime and additional savings. Custom mezzanines are particularly useful in leased spaces that tend to have special restrictions on building expansions and modifications. Steel mezzanines are customizable even after they have been installed, allowing you to make changes to help your warehouse grow along with your business. Because they are custom built to fit your needs, they not only add usable space to your warehouse, but also look great. Mezzanine systems can be integrated with a number of materials handling solutions such as pallet racks, shelving systems, and wire partitions to help better meet your needs. 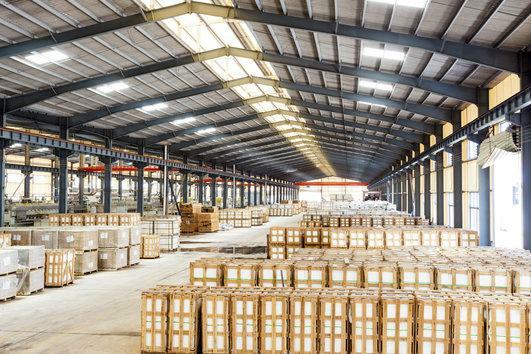 When you need more warehouse space, you have several options. You can purchase a larger facility. You can remodel and add on to your existing facility. Or you can contact S.W. Betz and better utilize your existing space. We can help save you time, money, and heartache. This entry was posted on Tuesday, September 1st, 2015 at 3:34 pm. Both comments and pings are currently closed.